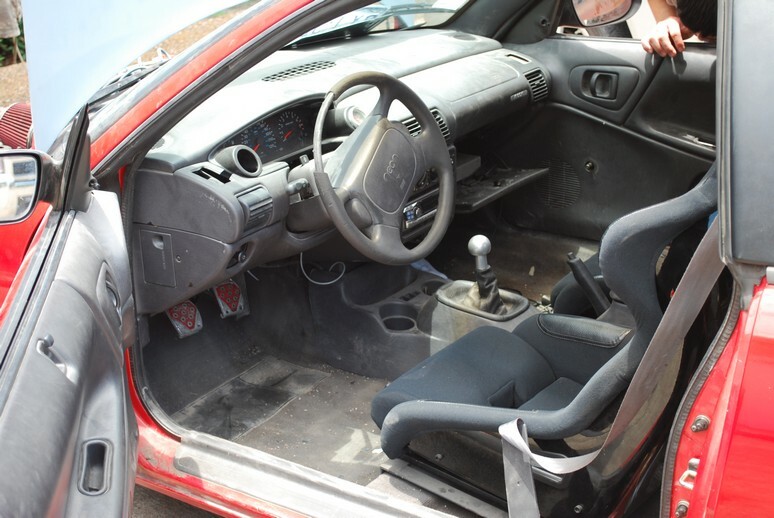 You are here: Home › MP Blog › Photos of Ryan Cerar’s 98 Neon with 2.4 swap, SRT-4 internals, 60 trim turbo and Megasquirt. All homemade, BUDGET style! 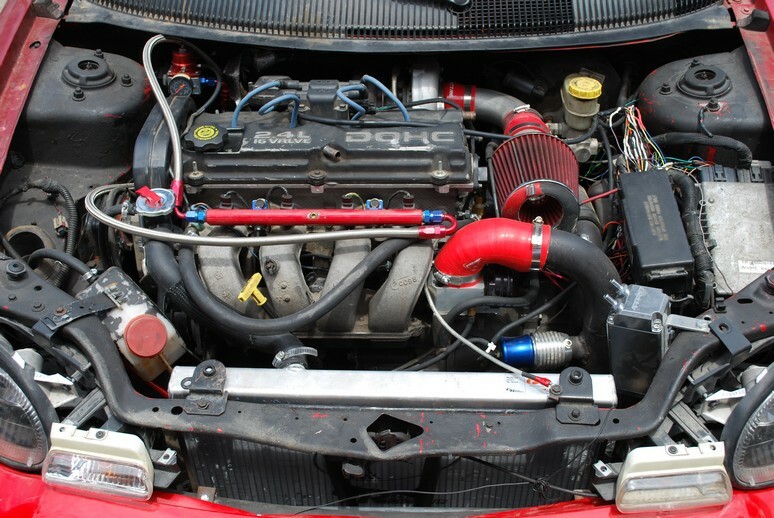 Photos of Ryan Cerar’s 98 Neon with 2.4 swap, SRT-4 internals, 60 trim turbo and Megasquirt. All homemade, BUDGET style! 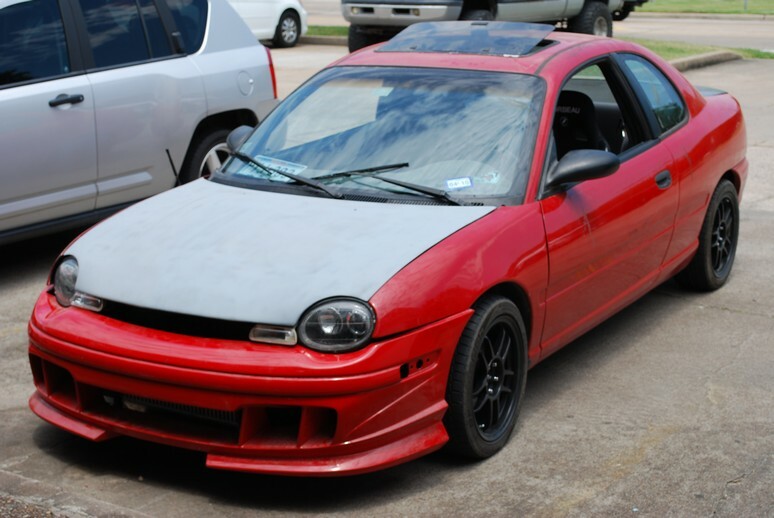 Here we have photos of a local customers 98 Neon with a 2.4 motor swap, Neon SRT-4 internal engine components, and a 60 trim turbo. The owners name is Ryan Cerar, and he built this entire car on an extreme budget, and he started most of the work with no prior experience. For those of you who are familiar with doing a 2.4 motor swap into a Neon, you know its not an extreme amount of work, but it is a good amount of labor intensive work. For those of you who have installed a Megasquirt engine management system, you know its very involved, requiring many new sensors and new wiring (basically creating from scratch a new wiring harness, and tuning system!). Lastly, Ryan Cerar did most of this work when he was laid off from his job, so just imagine how he was able to get all of this done on a extreme modification budget! Want to know more about Megasquirt ? Do a search on Neons.org ! TONS of information on it, and tips there! WARNING: In no way, shape or form did we imply that Ryans car is a show winner, or a drag queen. His Neon is in very rough shape, BUT it runs !! Which is a miracle by itself. LOTS of credit is due to Ryan for him getting this all assembled AND RUNNING! Now, onto the pics! This is the business side of Ryan Cerars Neon. 2.4 motor swap out of a Stratus/Breeze. Forged internal engine components from a 03-05 SRT-4 motor. 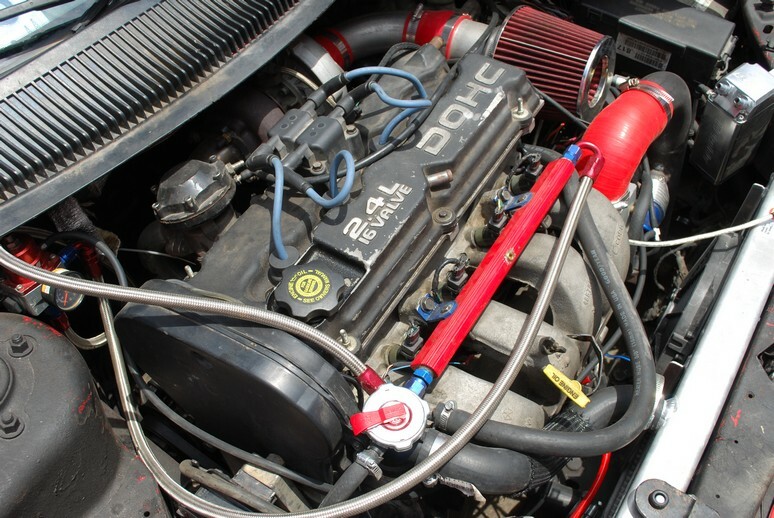 60 Trim turbo with a external wastegate, 1000CC injectors, returnline fuel system, front mount intercooler. Homemade intercooler piping and a cheesy no name brand blow off valve. Notice how much room is in this area ? Its because the battery was relocated under the bumper on the passenger side! 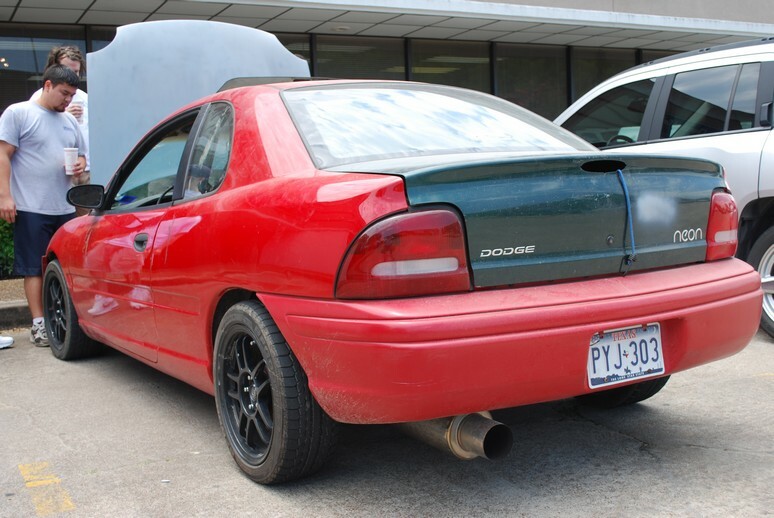 Here’s our donor car for the SRT4 swap into the 95 Neon.. Photos of our 1995 Neon Nitro Yellow Green Neon SRT4 swap after claybar, buffing and waxing. Photos of a AGP 50 trim kit we delivered to a customer yesterday for Neon SRT-4. 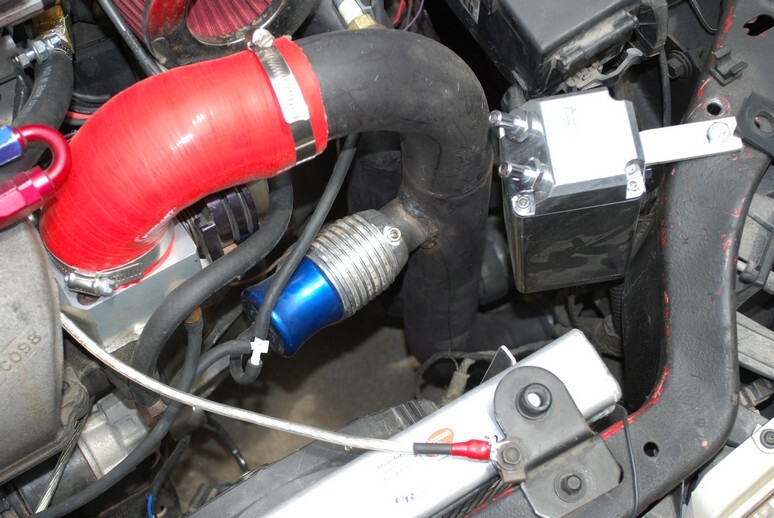 New Photos of AGP Turbo Kits for Neon SRT-4’s!